Thank you for tuning back to our Channel. 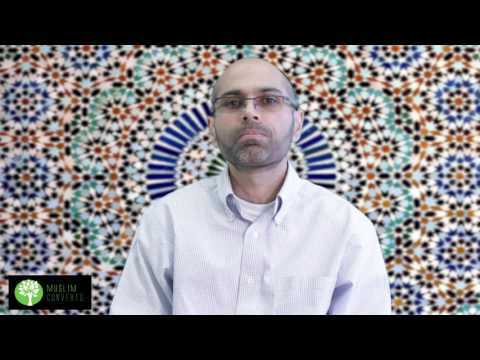 In our previous lesson, we covered the concept of the uṣūl al-dīn in Islam. The usūl al-dīn, as you recall, refer to the fundamental articles or principles of the Islamic faith. We learned that they are necessary for proper guidance. The most important of these principals is the principal of Tawhīd. Tawhīd refers to the absolute Oneness and Unity of God. It is the most important and fundamental aspect of all of Islam. Without Tawhīd, none of Islam or any other of the uṣūl al-dīn make any sense. We say this as all beliefs in Islam are predicated on the idea of a One and Indivisible God. In this lesson, we will outline the major implications of tawhīd regarding the nature of God in Islam, and regarding our behavior with ourselves and God. Tawhīd is the Absolute Oneness and Unity of God. Tawhīd is shahāda summed up in one word. It denies the existence of any deity or god except for the God who brought forth all of existence. It holds that God is of one essence only and is incompatible with any form of polytheism. Tawhīd also means that God has no partners in any action He does, either in creating the world or in sustaining it. Yes, He does have angels and other beings who perform tasks, but they do so as His servants and not His partners. He is in no need of them and can manage existence without them. Tawhīd is not just an abstract belief about the nature of God, it has direct implications in terms of how we are supposed to live, worship and relate to others. First, it means that only God alone can be worshipped. Worshiping other imaginary deities and idols is futile. As discussed earlier when we covered the subject of shahāda, worship is not only outward worship of gods and idols. The Arabic word for worship is ʿibāda, which literally means to “enslave oneself to something” as ʿibāda comes from the root word ʿabd, meaning slave or servant. When we say “worship,” in Islam, it means to enslave or submit one’s heart and soul to something to the point that it takes full priority in our thoughts and in our goals in life. One may, for example, submit and enslave one’s heart to a particular person, to one’s own ego, or material objects like money. Tawhīd implies that one’s heart and mind must submit and serve Allah only and must hold priority over any other thing. With that said, tawhīd is the antithesis of shirk. Shirk is a term that may refer to polytheism, idol worship or ascribing partners to God. Although many people may deny the most apparent form of shirk, there is a second form of shirk that is more common. This form of shirk is where a person ascribes particular attributes of Allah to creation. Sometimes people deify their Prophets and religious leaders, which is a form of shirk. At other times, they believe that particular human beings, like their bosses, are their sustainers in this world, whereas in reality, only Allah is the true Sustainer. From an Islamic point of view, God is the only provider and sustainer and hence His name al-Razzāq, meaning the Sustainer. If a human being happens to give you paychecks, know that they do so by the will of Allah (swt). Whatever comes to you via the creation, it is originally from Allah. No one can reduce or raise your salary without the will of Allah. We often attribute actions to God’s creation whether it is nature or other human beings. We think that they are the reason for our success or failure in life. Although our own choices do play a role, everything is ultimately in the hands of God. According to Imām as-Sādiq, tawhīd implies that Allah is the one who controls and sustains everything, and to ascribe control to someone else is a form of shirk. This does not mean that we are not responsible for things. To the contrary, we are responsible for our efforts. The final results that come about, however, are in the hands of Allah. Without effort, Allah will not give us results. This then, should make us think about the events that happen in our lives. We often get sad that we didn’t reach a certain goal that we wanted, or lost someone we loved. Tawhīd means that whatever happens in this world is through the will of God. God always has morally sufficient reasons for letting the things that happen in the world happen even if we don't understand or know them at that moment. Put differently, although we may interpret things as “going the wrong way,” a person who adopts the worldview of tawhīd will never be disappointed, for he knows all is under the control of Allah. Everything therefore moves towards the ultimate good. What we often interpret as Allah being “unfair” to us is our own shortsightedness. The only way we could ever make such a judgment is if we know the beginning and end of all things. Since our knowledge is very limited, we can never make such a judgment. As responsible and mature Muslims, we must therefore trust Allah only for only He knows the beginning and end of all things and knows what is best for us. Remember earlier we said that without tawhīd, none of Islam or the uṣūl al-dīn makes sense. We have Prophets and Imāms because they are sent by the One God to guide mankind. We have objective notions of good, bad, justice and corruption because we can attribute them to a source outside of human opinions. The Day of Judgment only makes sense if there is One God who judges our actions in accordance with the scale of justice and mercy. Why is tawhīd the most important part of the uṣūl al-dīn? Without tawhīd, none of Islam, let alone the uṣūl al-dīn, would make sense for all of Islam depends on the concept of the Absolute Oneness and Unity of God. No, our desires and egos can be idols as well for idols are simply entities which we enslave ourselves to. Worship in Arabic is ʿibāda, meaning to “enslave oneself to something.” From an Islamic perspective, we may worship objects like money, or people like our bosses if our hearts and minds are totally submitted to them. Shirk is associating partners with Allah, either in creation, or in His attributes. For example, thinking that your parents are your sole providers is shirk since only Allah holds the attribute of sole Provider and Sustainer (al-Razzāq). No, tawhīd means that God is absolutely one where He is not only one in essence, but is one person only and not three persons.